There are few industries that are evolving faster than marine navigation and very few businesses within it that have thrived in its turbulent waters. Beakbane has been working with Fugawi since 1999. At that time software for marine navigation was sold in boxes along with charts that ran on stand-alone PC computers. The technology has changed astonishingly. Nowadays we all walk around with highly accurate GPS devices on our smartphones with access to maps that are on the cloud – often for free. The competition is brutal and most businesses in the navigation industry have launched and then sunk. Fugawi has thrived through constant innovation. All innovative companies face a common challenge, which is how to communicate their fast-changing list of products and services. In the case of Fugawi, their business depends on selling marine navigation components and software, as well as creating the software that runs the charting devices that boaters install in their cockpits. Branding rarely works well by presenting a long list of products and services. In the case of Fugawi, we positioned the company as, “The Center for Marine Navigation.” Why? Because they are a unique company in the industry, in that they provide the software, charts and devices – along with the systems that tie them all together. It is Fugawi’s expertise that allows a boater to plan trips, download charts, monitor their boats functions and navigate safely. Furthermore, it is Fugawi’s systems that enable boaters to share the data they collect from their depth sounding equipment. Now, even the smallest lakes are being charted, making boating safer and more fun for everyone. They are genuinely at the center of the industry, integrating all the devices and markets together. “Having a single focus under which we can present all our products makes it easier for us to launch products and move fast,” states Robin Martel, the company president. 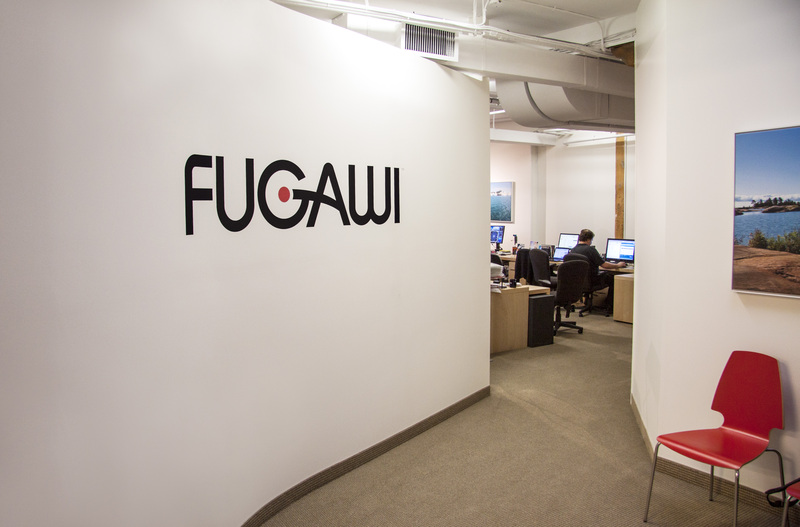 Fugawi continues to be at the forefront and center of an exciting industry.